Several areas, like rail traffic, saw significant rebounds. But interest rates also rose to new expansion highs as well. As usual, not only does clicking and reading the article bring you up to the moment on what is happening with the economy, it also helps put a little $$$ in my account. The October PMI® registered 57.7 percent, a decrease of 2.1 percentage points from the September reading of 59.8 percent. The New Orders Index registered 57.4 percent, a decrease of 4.4 percentage points from the September reading of 61.8 percent. On Tuesday I said that "the first thing I am looking for is decelerating growth which will show up in a reading below 15 in the average of Regional Fed reports, and below 60 in ISM new orders." The regional Fed average is still above 15, but this morning we got the reduction in the ISM. 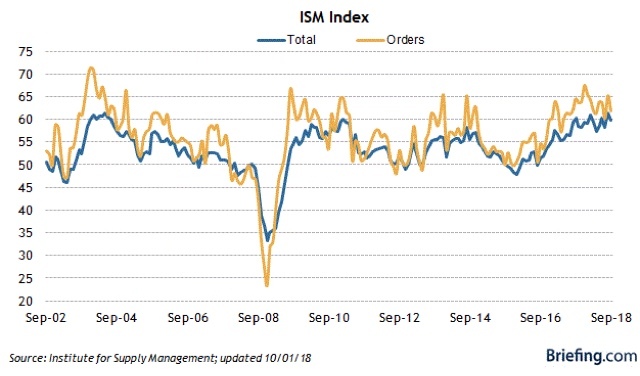 While 57.4 is a very positive reading on an absolute scale, nevertheless this was the lowest ISM new orders reading since November 2016, almost two years ago. 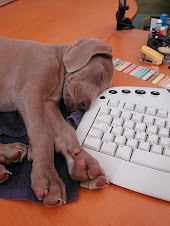 I expect slowing to continue. Unlike "average hourly earnings" (green in the graph above), which are reported monthly as part of the jobs report, the employment cost index is a median, rather than an average, measure. 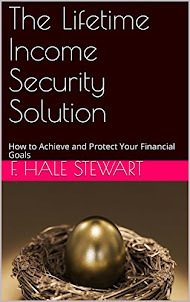 This avoids the distortion caused by a few high-wage earners. It also keeps the perecentage of workers in each occupation constant over time, in order to measure the change in compensation for the same job. In other words, as of the third quarter of this year, 50% of all occupations, as a weighted average, got an increase of +3.0% or more in wages over the past year. Notice that recently the rate of annual growth in average hourly wages for nonsupervisory workers has also been increasing. We're still not at the best levels of the 2000s expansion, which itself was no great shakes -- and in real, inflation-adjusted terms wages only outpaced inflation by +0.7% -- but still, this is some unalloyed good news. My comprehensive look at September housing data is up at Seeking Alpha. 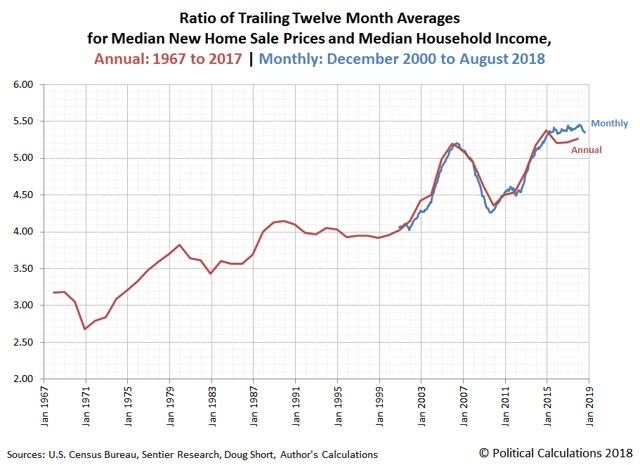 The downtrend in housing statistics has been sustained and severe enough for me to make the call that housing has peaked, by most measures, between last November and this past March. 2. unlike 2014, when a similar but not quite so severe rise in interest rates only caused a temporary pasue in the market, house prices as a multiple of household income are at or near new peaks. 3. the capping of the Federal deduction for state and local taxes has really hit markets in California and the northeast megalopolis. None of the three factors look likely to abate in the near future. 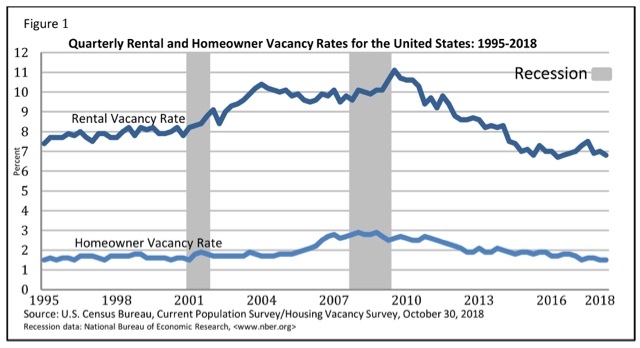 Thus I expect the trend in housing to remain below the recent peaks. What *is* a possibility (and for what it's worth I believe this plays a role in Bill McBride's belief that housing hasn't peaked yet) is that, if inflation remains subdued, the Fed could react to a softening economy next year by reversing course and lowering interest rates, thus breaking the downtrend. In any event, as usual, heading on over to Seeking Alpha to read my long article should hopefully be informative for you, and it rewards me with a little $$$ for my efforts. 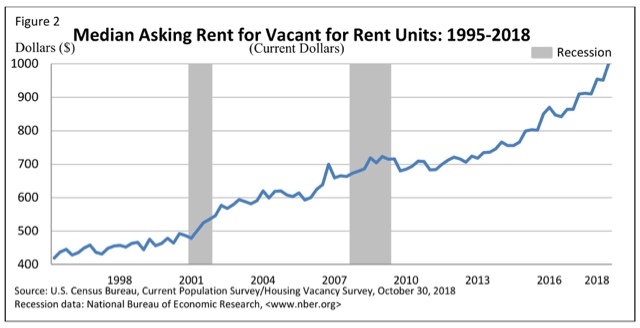 This morning both the Case-Shiller House Price Indexes for September, and Third Quarter Median Asking Rent were reported, as was the rental vacancy rate. Together they reveal that all types of shelter costs, whether housing or apartments, are at or near record levels. A few years ago, HUD put out a report speaking of a "rental affordability crisis." I think we are past that now. All forms of housing costs, whether ownership or renting, are at crisis levels. If I am right that by roughly midyear 2019 the economy will experience a substantial slowdown, then we ought to start seeing a deceleration in the leading indicators for manufacturing soon. Additionally, if rail transportation is accurately signaling that a slowdown is already hitting due to the impact of Trump's tariffs and China's retaliation, producers ought to be noticing the effects almost immediately, and begin to react. Which makes me think that manufacturing new orders, as measured monthly by five of the regional Feds and also the ISM, ought to start slowing down by the end of this year. Readings above 60 are particularly strong. So the first thing I am looking for is decelerating growth which will show up in a reading below 15 in the average of Regional Fed reports, and below 60 in ISM new orders.